Good morning, hope you are all well and enjoying the sun, it has definitely been a hot summer. 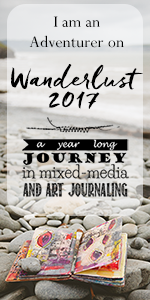 Well it was my turn to host the Moving Along With The Times challenge blog (MAWTT) this time so I chose a male theme. So many crafters struggle with male cards and items that I thought some inspiration would help. 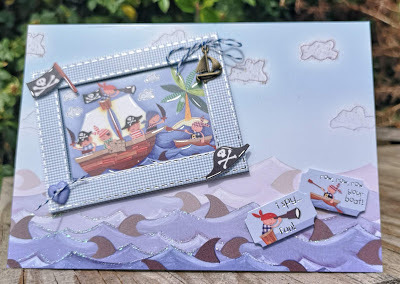 Here is my card, a pirate theme with a boat charm all ready for a little boys Birthday. This card was made from a Hunkydory kit that I had in my stash, a button and boat charm were added using some twine and sparkly glitter was put on the crest of the waves using a quickie glue pen. I will probably add the little boys name or age on the right of the card amongst the clouds when the time comes. 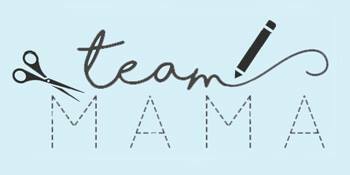 Why not pop over to the MAWTT blog and see makes from the other members of team A and while there please join in the challenge.